This report contains findings of IOM’s Displacement Tracking Matrix (DTM) Flow Monitoring Surveys (FMS) conducted between 11 December 2017 and 11 February 2018 by IOM field staff in provinces of Edirne, İzmir, Kocaeli, Konya, Bursa, Bilecik, Burdur, Çorum, Eskişehir, Samsun, Mersin, Gaziantep, Şanlıurfa, Van. 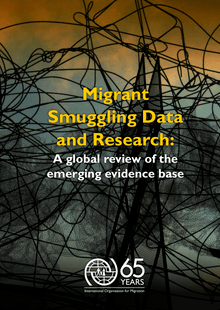 The survey gathers information about migrants’ profiles, including age, gender, areas of origin, levels of education and employment status before migration, key transit points on their route, cost of the journey, reasons for moving and intentions. Turkey delivered 2.500 food baskets to Afghanistan’s Cevizcan region under the coordination of the Disaster and Emergency Management Authority (AFAD). Turkey has distributed 1100 food baskets in the Herat Region of Afghanistan under the coordination of the Disaster and Emergency Management Authority (AFAD). An AFAD team that held a meeting with the World Food Program (WFP) Turkey Director Zlatan Milisic, Deputy Minister of Disasters of Afghanistan Mohammad Qaseem Haidari and the Turkish Red Crescent Afghanistan Delegation to detect those who are in need and analyze humanitarian aid needs in Afghanistan, completed its preparations and started to distribute aid on August 12, 2018. AFAD’s Search and Rescue crew awaits call for international assistance from Afghanistan. Ankara, 26 October 2015 – In the wake of a 7.5-magnitude earthquake which shook northern Afghanistan today, the Disaster and Emergency Management Authority (AFAD) put an Istanbul-based Search and Rescue crew on high alert. First responders in another 11 provinces have been instructed to make preparations in case the Afghan government calls for international assistance. 1. We have convened in Istanbul on 2 November 2011, under the leadership of H. E. Mr. Hamid Karzai, President of the Islamic Republic of Afghanistan, and H. E. Mr. Abdullah Gül, President of the Republic of Turkey, and at the joint invitation of H. E. Mr. Zalmai Rassoul, Foreign Minister of the Islamic Republic of Afghanistan and H. E. Mr. Ahmet Davutoğlu, Foreign Minister of the Republic of Turkey, to reaffirm our strong commitment to a secure, stable and prosperous Afghanistan in a secure and stable region. Turkey and Afghanistan signed in Kabul today (5 March) the Memorandum of Understanding on the Training and Capacity Enhancement of the Afghan National Police. T=DDKA provided food aid to meet the emergency needs of 5000 families in Afghanistan. Aid packages including flour, rice and oil were delivered to the families in need in Kabul, Wardak, Faryab, Shibirgan, Takhar, Balkh, Sare Pol, Samangan and Badakhshan. Governors and vice-governors participating in delivery activities extended their infinite thanks to Turkey and T=DDKA for the support given to them. Furthermore, Semengan Vice-Governor Hac=FD G=FClam Sahi said "we wait for your help until the Afghani people stay on their own food". The present humanitarian problems in Afghanistan as well as its neighbouring countries Pakistan and Iran are expected to increase due to the military operations targeting Afghanistan. With a view to mitigating the conditions in the refugee camps in the region and taking into account the continuing refugee movements, the governments concerned, international organizations and National Red Cross and Red Crescent Societies are making preparations and exchanging views with each other. We follow with deep concern and regret the continuation of the fighting in Afghanistan. The humanitarian tragedy caused by the ongoing clashes has gained alarming proportions. Since last July, thousands of people have lost their lives, tens of thousands of people have been internally displaced mainly in northern Afghanistan, and some have sought refuge outside of the country due to the continuing clashes.